In the evenings, the lights dim at the New England Culinary Institute's flagship restaurant, and diners tuck into booths, hungry for sophisticated meals cooked by some of Vermont's most promising up-and-coming chefs. 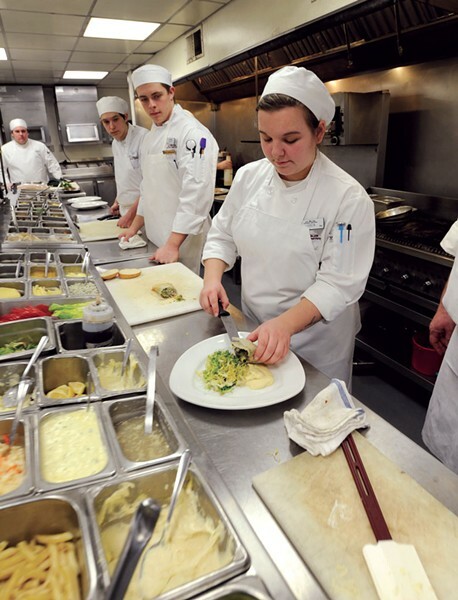 Students — culinary professionals in training — work the line at Montpelier's NECI on Main. From start to finish, you'll know your food is prepared with passion, attention and care. For NECI students, making dinner is more than just a job; it's their chosen field of study. So you can dine assured that your grilled quail, dusted with sweetly scented Moroccan spices and served with cauliflower couscous, is cooked to just the right temperature. Your saffron-soaked fish soup has been simmered to its savory prime. By day, the dining room evokes an upscale European bistro. Meals are simple and tailored to picking and snacking. The Ploughman's Platter is an unpretentious spread of toasted baguette and charcuterie made in culinary class. Offerings might include a peasant-style slice of bacon-wrapped pork pâté, studded with pistachios; supple slices of smoked country ham; or thin-shaved duck prosciutto. Served with local cheeses, it's an afternoon entrée best paired with a bottle of dry white wine, slowly sipped — the better to channel your inner Parisian. Don't have time to dawdle? Diners on the clock can grab a pulled-pork sandwich — tender, stringy meat stuffed into a housemade brioche bun — or a frisée salad topped with caramelized-onion vinaigrette and a flash-seared pat of duck liver. 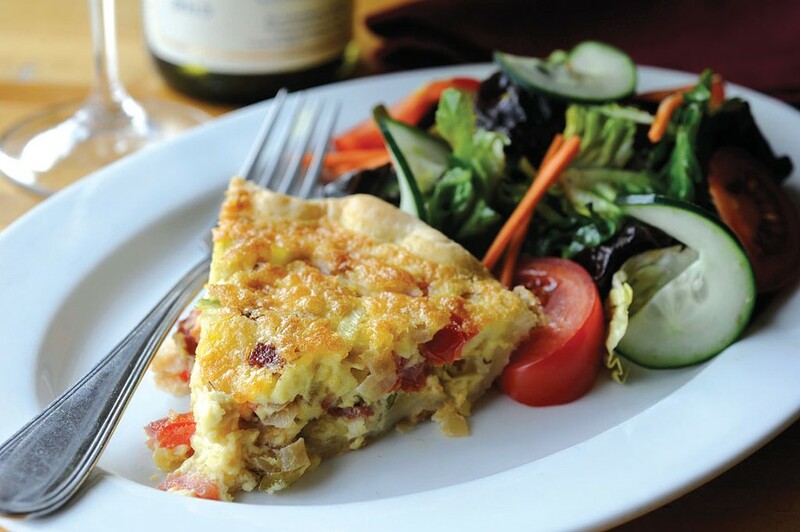 And then there's Sunday brunch, an award-winning buffet rife with housemade sausage and bacon, salads and egg dishes. Pillowy, perfectly folded omelettes are made to order, stuffed with everything from fresh veggies to house-cured meats. 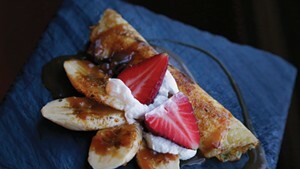 Desserts range from delicate pastries to chai-spiced truffles. For diners, it's a delicious start to the day. For the cooks dishing it out, it represents the beginning of their culinary careers.